Almond: A rich source of proteins, and antioxidant nutrients, Almond helps nourish and condition the hair. Bamboo: Bamboo shoots are rich in Silica, which is known to keep hair healthy and strong by retaining moisture, making the hair appear beautiful and attractive. Explore the entire range of Gels & Waxes available on Nykaa. 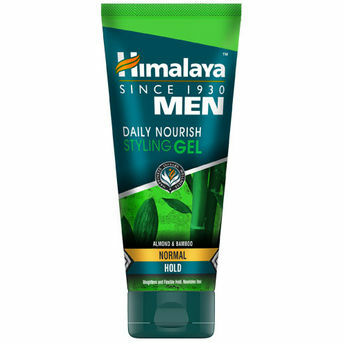 Shop more Himalaya products here.You can browse through the complete world of Himalaya Gels & Waxes .Alternatively, you can also find many more products from the Himalaya Men Daily Nourish Styling Gel - Normal Hold range.